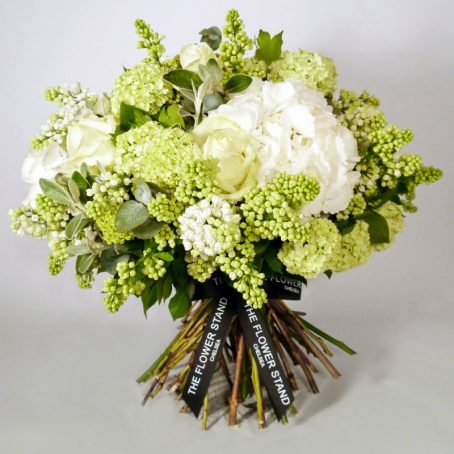 Categories: Mother's Day Flowers, New Baby Flowers, Spring Flowers, Summer Flowers, Sympathy Tributes. 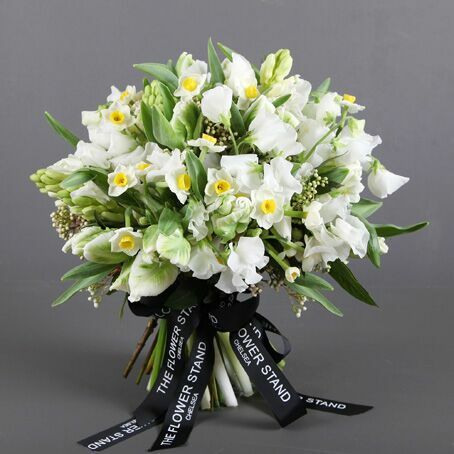 This beautiful Spring bouquet comprises Tulips and Narcissus. Whether you call them Narcissus, Daffodils, or Jonquils, these flowers are among the earliest blooms in Spring, eluding the coming of warmer times ahead. The perfect gift to brighten up anybody’s day. 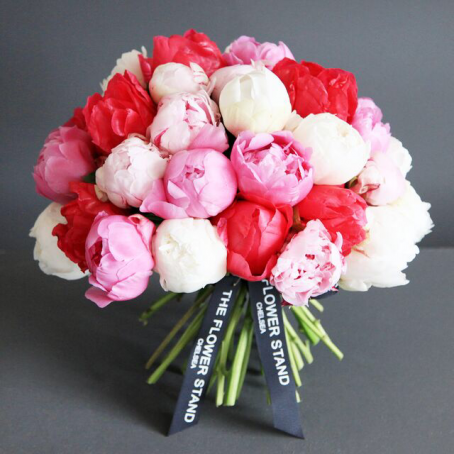 A stunning, luxury Dahlia bouquet comprising just Dahlias in pinks, purples and lilacs. Dahlia's are the perfect flowers to brighten up a loved one's day. 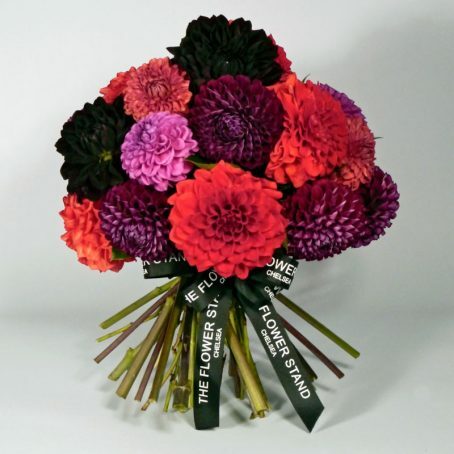 With intricate, vibrant flower heads, this Dahlia bouquet definitely has the wow factor.